Michael Ray Lambrix, a/k/a Cary Michael, was executed by the state of Florida on Thursday, October 5, 2017. He was pronounced dead at 10:10 pm EST, inside the execution chamber at the Florida State Prison near Raiford, Florida. Michael’s execution was delayed fro several hours due to appeals. He was 57 years of age. 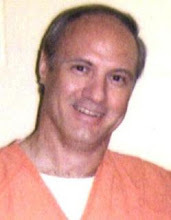 Michael was executed for the murder of 35-year-old Clarence Edward Moore (a/k/a Lawrence Lamberson) and 19-year-old Aleisha Dawn Bryant on February 6, 1983, in Glades County, Florida. Michael spent the last 33 years of his life on Florida’s death row. Michael had previously served time for check fraud. At the time of the murders, a warrant was out for Michael’s arrest, as he had walked away from a state halfway house. On the evening of February 5, 1983, Michael Lambrix and his roommate, Frances Smith, went out to a local tavern, where they met Clarence Moore and Aleisha Bryant. Lambrix and Smith invited Clarence and Aleisha back to their trailer to eat. At some point, Lambrix invited Clarence to go outside with him. Approximately 20 minutes later, he asked Aleisha to also come outside. Approximately 45 minutes after that, Lambrix returned to the trailer, alone. He was wearing a bloody shirt and holding a tire iron. Lambrix told Smith that he had killed Clarence by hitting him with the tire iron and Aleisha by strangulation. Smith helped Lambrix clean up and bury the bodies. Lambrix also threw his bloody shirt and the tire iron into a nearby stream. On February 8, 1983, Smith was arrested on an unrelated charge. While in custody, she informed police about the buried bodies. Police investigated and found the bodies, along with the bloody shirt and tire iron. Lambrix continued to insist that he was innocent of the crime for which he was convicted. According to Lambrix, he and Smith spent the evening drinking and dancing at various clubs until the early morning hours of February 6, 1983. They then decided to go back to Lambrix’s trailer for a few hours, until Aleisha had to return to work. Clarence was going to drop her off at work before heading to Miami, Florida. While at the trailer, Lambrix and Clarence went outside to retrieve something from the vehicle. While outside the two decided to play a prank on the two women, scaring them. They were only able to lure Aleisha outside. Clarence scared her by jumping out of a feed trough. When Lambrix and Clarence began laughing, Aleisha began verbally assaulting Clarence. Lambrix left the two, whom he assumed were in a relationship. When Lambrix returned to the couple, he saw Clarence beating Aleisha. Lambrix claims that he pulled Clarence off Aleisha. When Clarence attacked Lambrix, Lambrix hit him several times with a metal rod (tire iron). Both Clarence and Aleisha died from their injuries. Lambrix was convicted on two counts of murder and sentenced to death. Lambrix and his attorneys have alleged that he had an unfair trial, that the prosecution withheld evidence, and misrepresented the facts of the case, including evidence. Lambrix also alleges that the trial judge prevented him from testifying. Please pray for peace and healing for the families of Clarence and Aleisha. Please pray for strength for the family of Michael Lambrix.